Veteran's Affairs Canada provides general statistics about Canada's participation in war, including numbers of casualties. It doesn't include our recent losses in Afghanistan, but the figures are still staggering for a country our size. 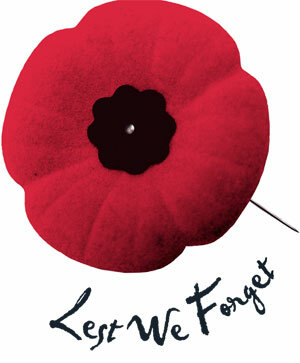 Approximately 7,000 Canadians served; 267 of them gave their lives. Approximately 650,000 Canadians served, including members of the Canadian Expeditionary Force, Canadians and Newfoundlanders who served with British forces (Newfoundland was a colony of Great Britain until 1949) and merchant mariners. Of this number, nearly 69,000 gave their lives. More than one million Canadians and Newfoundlanders served in Canada's Armed Forces, in Allied forces or in the merchant navy; over 47,000 of them gave their lives. 26,791 Canadians served in the Canadian Army Special Force; 516 of them gave their lives. Approximately 150,000 Canadians have served in peacekeeping missions/foreign military operations since 1947; more than 160 Canadians have given their lives in this service. If you include the 97 Canadian soldiers who have died at war in Afghanistan, the number exceeds 117,000. That's 117,000 reasons to observe two minutes of silence at 11:00 this morning. Cherry can have my Coach's Corner anyday to remember those who gave their lives allowing morons like Houston to have a job.